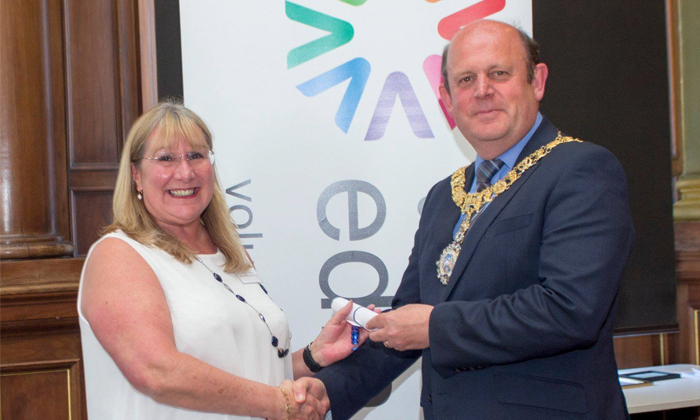 Trig is proud to announce that Lynn Reid, Trig’s HR Manager had been recognised by the city of Edinburgh for her volunteering services. Lynn received the Inspiring Volunteering Achievement Award from the Lord Provost of Edinburgh at the event on Wednesday 6th June 2018 in the City Chambers. Lynn was nominated by LINKnet Mentoring where she is a Mentor and Board Director. Lynn Reid receiving her award from the Lord Provost of Edinburgh. Lynn has a long history of volunteering. She said, “I have also volunteered for Crisis Edinburgh Skylight – I was their first volunteer when they were setting up Edinburgh Skylight in 2012 and while I was volunteering there I found out about LINKnet. Linknet. is the first and the only direct mentoring organisation that is established to serve minority ethnic communities in Edinburgh, the Lothians, Scottish Borders and Fife. It was established to serve disadvantaged ethnic minorities in their pursuit of development. Since opening, thousands have taken part in various mentoring programmes, education and employment mentoring. Trig is delighted that Lynn has received the Inspiring Volunteering Achievement Award and recognise the importance of volunteering within the community. Well done Lynn!